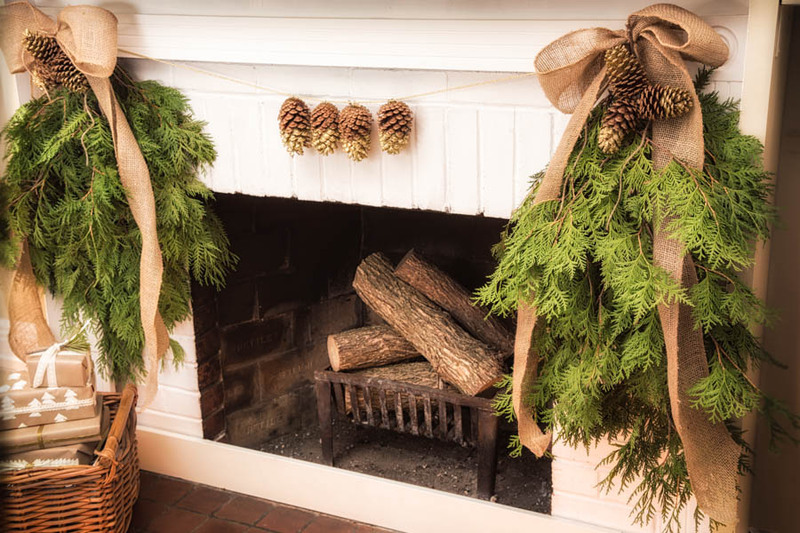 Instantly give your home a festive look by installing this Christmas garland on your fireplace mantel. Don’t have a fireplace? Simply hang it on a wall, above a credenza! 1. Using a drill, drill holes the size of the eye screws into the centre of the pine cones. 2. Insert the eye screws into the holes. 3. Using a clean brush, apply adhesive to the bottom half of a pine cone. 4. Positioning yourself over a plate, sprinkle glitter on the part coated with adhesive until it’s completely covered with glitter. Repeat with each pine cone. Let dry at least one hour before handling. 5. Meanwhile, form two bunches of greenery by tying a few evergreen branches together with cable ties or galvanized wire. 6. Thread the main ribbon through the eyelets of four pine cones and position them at the centre of the ribbon. 7. Next, form two bunches of three pine cones by threading galvanized wire through their eyelets. 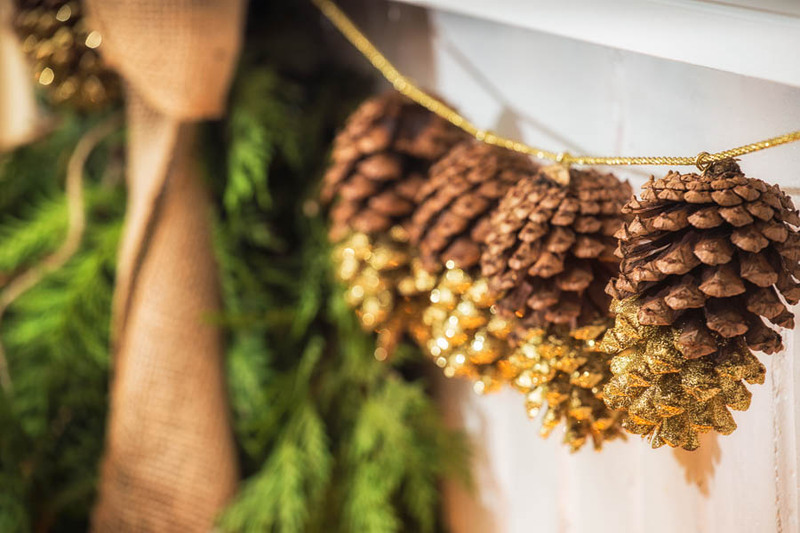 Assemble the evergreen branches and pine cones with the same type of wire. 8. Hang the main ribbon on temporary hooks you’ve placed on the fireplace mantel or a wall, above a credenza. 9. Attach the two bunches of evergreen branches on the hooks and camouflage the galvanized wire with decorative bows or tape.